Osteopathy is based on the principal that the well being of an individual depends on the skeleton, muscles, ligaments and connective tissue functioning smoothly together. To an osteopath for your body to work well its structure must also work well. Problems occur within the body for many reasons including direct injury, occupation, sports, repetitive strain, stress and postural imbalance such as pregnancy. Treatment is different for every patient. Osteopaths use touch, physical manipulation, stretching and massage to increase the mobility of joints, to relieve muscle tension, to enhance the blood and nerve supply to tissues and to help your body’s own healing mechanism. Osteopathic treatment does not target symptoms but treats the parts of the body that have caused the symptoms. Osteopaths have a holistic approach and believe that for your body to work well, its structure must also work well. Osteopathy is a system of diagnosis and treatment and osteopaths work to restore your body wherever possible to a good state of balance. Osteopaths assess and treat people of all age groups from the very young to the elderly and use a wide range of gentle manipulations, depending on your age, fitness and diagnosis. When I visit an osteopath what can I expect? On your first visit June will spend time taking a full medical history as well as finding out about your lifestyle, work, sporting and leisure activities as these may give clues to understanding your problem and so help her make a diagnosis. You will normally be asked to undress to your underwear and perform a series of simple movements so June can assess your posture and how you move your body. June may also assess what happens when she moves it for you and see what hurts, where and when. June will then use her hands to identify abnormalities in the structure and function of your body, and to assess areas of weakness, tenderness, restriction or strain. On occasions June may feel it necessary to check your pulse, test your reflexes or take your blood pressure. Having reached a diagnosis June will explain her findings to you and discuss with you the most appropriate treatment plan. Treatment will be different for every patient but may include techniques such as different types of soft tissue massage and joint articulation to release tension, stretch muscles, mobilise your joints and help relieve pain. After treatment June may provide advice on posture and exercise to aid recovery, promote health and prevent symptoms recurring. All osteopaths in the UK are regulated by the General Osteopathic Council (GOsC). 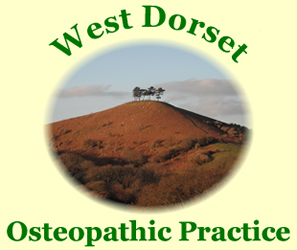 June is registered with the General Osteopathic Council (GOsC) and are members of the Institute of Osteopathy.